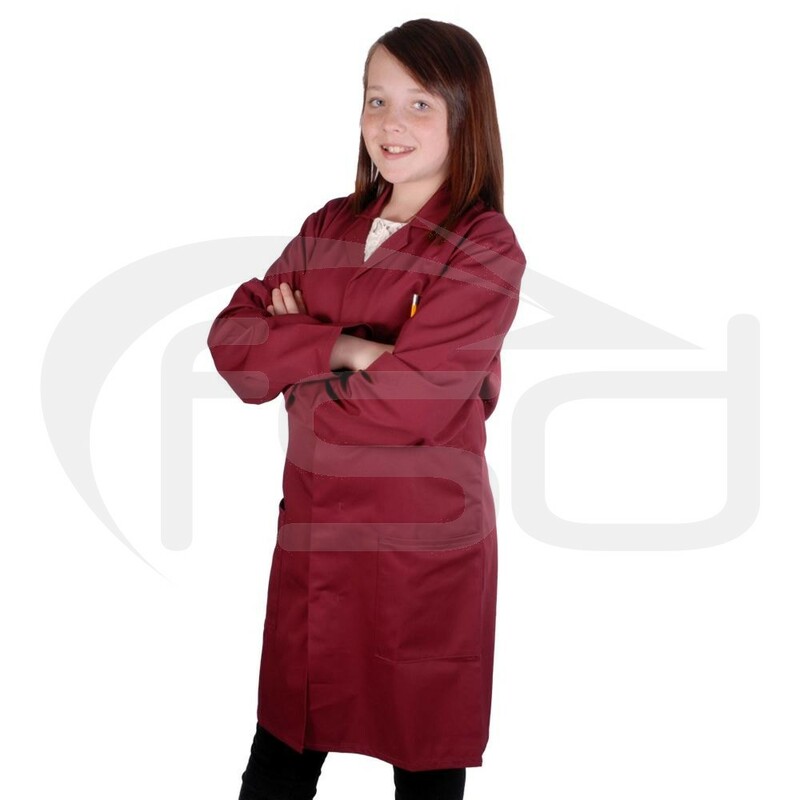 Kid's maroon work coats offered in a range of sizes. Ideal for technology classes, painting or any situation where you need to protect clothing. Kid's maroon work coats offered in a range of sizes. They are ideal for technology classes, painting or any situation where you need to protect clothing.